It’s a storybook, it’s an activity book and it’s a trip through time! Are you ready for a seriously BIG adventure? The Histronauts are on a journey back to the Roman Empire. They’re going to need your help to uncover the secrets of the past. 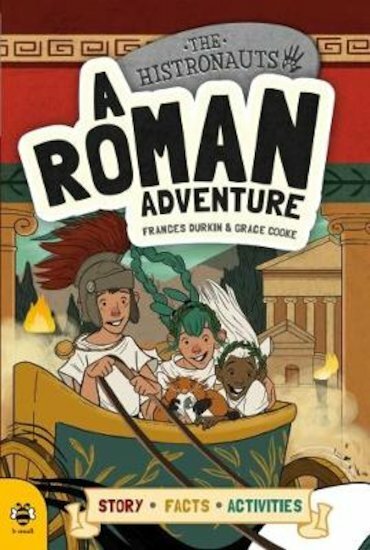 Explore the Roman baths, try on a legionary’s armour, make a sacrifice at a temple and ride in a speeding chariot. Plus: are you ready to follow ferocious gladiators into battle? Do the puzzles, read the story, learn the facts and have loads of fun!